My sponsors are an integral part of my training program. I am proud to work with and endorse these amazing companies. I use Cosequin on my horses and Cosamine on myself. My horse’s joint comfort is essential for maximum performance and durability. I use Cosamine daily for my back, knees and other joints. It keeps my body feeling good so I can ride my best. It really works on me, so I know it works on the horses. This is the best built, quietest, most affordable mechanical cow on the market! There are several models available that will fit your needs from working every day at the ranch, supplementing your cattle works, to the compact side kick that you take to the shows. My favorite is the Ultima. It is the ultimate mechanical cow that incorporates the flag/cow option as well as 4 position memory settings. I use it all the time here at the Almosta Ranch and it sure saves on cattle costs. 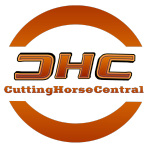 You have to check out Cutting Horse Central's live scoring feature! Stay up to date on scores at the major NCHA events as well as news and happenings. I have CHC bookmarked on my phone. Farnam is the largest horse product company in the world. Their wide varieties of well-tested products are always reliable. I use more Farnam products than any other, including fly spray, shampoo, fly masks, buckets, liniments, medications and a lot more. Farnam is definitely a horseman’s best friend. My feet are thrilled to have Justin Boots as a sponsor. Justin is a corporate sponsor of the American Quarter Horse Association and I'm happy to be associated with both. As much as I wear cowboy boots, it's important to me to have a great looking, durable boot that fits well. Justin delivers on all levels. JW Brooks hats are the best around. Contact them through their website and tell them Al sent you - you are sure to get treated right and have a hat you will love. I'm particular about my hats, and I have several JW hats for different occasions. They are all of the highest quality and comfort level. I wouldn't wear anything else. All the horses in training with me are on Lubrisyn. Lubrisyn is a liquid hyaluronic acid which lubricates the joints and minimizes friction. Given orally, it helps my performance horses with the normal wear and tear during their career. With Lubrisyn I feel I'm making my horses more comfortable, cutting down on veterinary bills, and maintaining maximum performance. Everywhere you look at the Almosta Ranch, you can see Polylast. I love it! Polylast makes a cushioned surface for your saddling areas, wash racks, stalls, barn aisles, trailers, and more. Polylast can help you make your horses safer, more comfortable and perform better while enhancing the appearance and functionality of your facility. My Priefert Panel Walker is the best investment on my ranch. It saves us an amazing amount of time and is a versatile asset to my program. We also have a Priefert automatic roping chute, cattle doctoring facilities, panels, arena drags, and even Priefert stalls. Priefert is perfect-pass it on! Professional's Choice is the world leader of quality products for my horses when it comes to leg protection, saddle pads, cinches, and other important gear for high performance. I have tried many other brands but since I’ve used Professional’s Choice I need to look no further. I attribute the daily use of Professional's Choice to our winning ways. They also now produce Schutz Brothers top-of-the-line working, training and show tack. Schutz Brothers combines years of knowledge and experience with the finest leathers and materials available to help insure that your equipment has maximum feel and durability. I am proud to have helped design the Al Dunning Signature line of tack that you will find in their catalog and at AD TACK. I had the privilege of visiting the Purina Research Farm and gained a new respect for the technology and quality ingredients that go into their feed. All of my horses are fed Purina Ultium to ensure they receive the proper nutrition to perform at their best. I encourage everyone to provide the maximum care for their horse by feeding Purina. ReBorne is the most amazing product that I have ever used to drastically improve the health and appearance of your horse. This product works wonders for lethargy, poor coats, immune system issues and ulcer maintenance. I’ve seen 30-day transformations that make the individual look like an entirely new horse. When I recommend ReBorne to friends, they always come back astonished with the results and thrilled with this product. Vita Flex is a leading supplier of advanced performance products for horses. These innovative supplements have been formulated specifically for the extreme performance demands of equine athletes. I suggest you visit their website and view for yourself the amazing products that will enhance your horses' health and performance. The first time I was introduced to Winnie's Cookies I thought they were just a horse treat. After I found out that my horses loved Winnie's Cookies I did some research. I was impressed that these cookies were made from 12 certified organic ingredients and have no preservatives, chemicals or sugars. They are baked fresh and shipped to you the same day ordered. They also include flax seed which helps provide a healthy coat on my horses. They taste great and my horses benefit from their ingredients. I have worn Wrangler since I was 12 years old. The look, durability and comfort make them my choice for showing and everyday wear. Wrangler jeans and shirts are what REAL cowboys wear. Long live cowboys!